I’m sure you noticed that the last time you went car shopping you were unable to get a firm price on the car, unless you were willing to sign on the dotted line and put down a deposit. It’s impossible to get a firm, honest price on a car over the telephone, and very difficult to get one via email. If, on the off chance, you’ve never bought a car, or haven’t bought one in a long time, try this. Call any car dealership and ask for a price on a specific year, make, and model. I can guarantee that you won’t be able to get a firm price. Car dealers don’t want to give you a firm price because they want to deprive you of your rights in our American free-market economy. One of our most important American freedoms is to be able to shop and compare prices so that you can choose the lowest one. There are some countries where the prices are dictated by the government or giant cartels. We have anti-trust laws in America that prohibit price fixing, monopolies, or collusion between companies which keep prices artificially high. In fact, there’s even a federal law that says auto manufacturers must put a sticker on all vehicles that discloses the Manufacturer’s Suggested Retail Price, MSRP. This law was written by Senator Mike Monroney back in 1958. Senator Monroney felt there was a need for this law because, before then, car dealers could ask any price they wanted for car. They could put their own price sticker on their cars and mark their cost up any amount they chose. A car-buyer, pre-1958, had absolutely no basis for comparing prices between competing car dealers. The MSRP gave every car shopper a common basis for comparing discounts from MSRP. All dealers pay their manufacturers the same price for a car and all MSRP’s for a specific year-make-model have the same percentage markup. The Monroney label was a great idea and it worked well for a while, but it wasn’t too long before the car dealers figured out ways around this “handicap” to their profit margins. 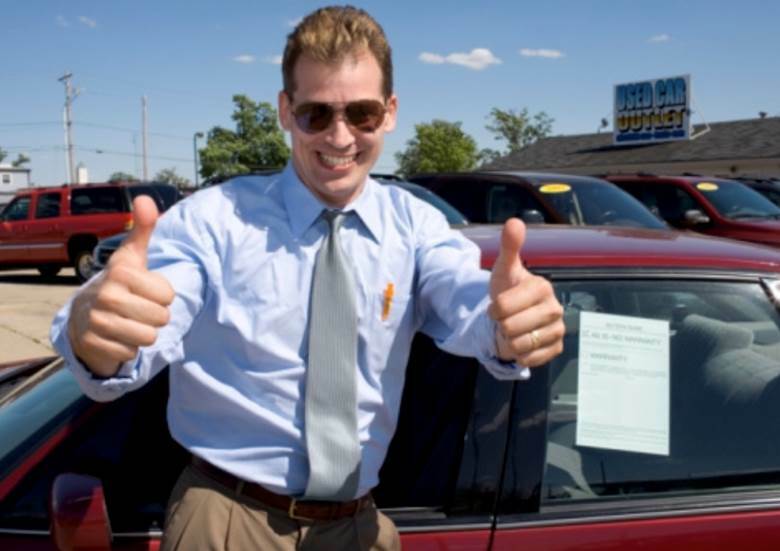 The easiest way around an MSRP is simply to refuse to give the customer a firm discount unless they agree to buy the car, and therefore you can’t get a real price from a car dealer until then. Another way is to give you a firm discount but later add hidden charges like dealer fees, doc fees, electronic filing fees, or dealer installed accessories after you agree on the discount from MSRP. “Bait and switch” is a popular tactic which simply brings you in to buy a specific car only to find out that “It’s just been sold” …but here’s another one almost like it”. Another popular tactic is to advertise discounts from “list price”, “dealer list price”, or “sticker price”. Dealers even havecounterfeit Monroney labels printed that they display alongside of the real Monroney label. These counterfeit price stickers I’ve named “Phony Monroney’s”. I’ve seen advertisements from car dealers for “$10,500 Discounts on Every Vehicle in Stock”. The discounts aren’t from the MSRP but from “dealer list” which is clearly thousands of dollars above MSRP. The best defense against all of this is to insist on an out-the-door price. Explain the following to the sales manager at the car dealership. “If you give me an honest out-the-door price, I will compare it with the two prices I already have from two other car dealerships. I will buy from the dealer with the lowest price. If you agree to give me your lowest out-the-door price, you have a 33% chance of selling me a car. If you refuse to give me a price right now, you have 0% chance of selling me a car, because I will walk out that front door and you will never see me or hear from me again.” You can accomplish the same thing over the telephone or via email. Earl Stewart On Cars welcomes comments from everyone - supporters and critics alike. We'd like to keep the language and content "PG Rated" so please refrain from vulgarity and inappropriate language. We will delete any comment that violates these guidelines. Oh yeah - one more thing: no commercials! Other than that, comment-away!